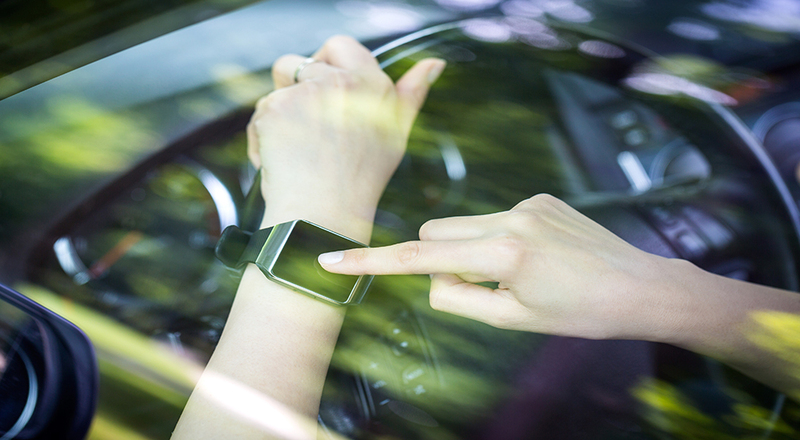 NowCar | Car Tech: How Does Predictive Cruise Control Work? And More! Car Tech: How Does Predictive Cruise Control Work? And More! Ever find yourself thinking about all of the new technology popping up in cars? Have you ever wondered how some of that stuff works? How does a car know when to break? I don’t see any robots driving cars, and we have a better chance of seeing A.I. in sci-fi movies than on the road. About a month ago we looked at some of the tech that allows drivers to connect with their smart home technology from their cars. Today, let’s take a look at some of the new technology popping up and discuss how it works. But how does it work? The same way humans control speed -- pulling on cables. Okay, not exactly. We’ll spare you the mumbo-jumbo because honestly it causes a headache. Yeah, my head hurts too. But still, pretty cool! This technology is probably the most important to date. Automatic braking systems “sense” and avoid impact with other vehicles, persons, and/or other obstacles by braking without any input from the driver i.e. slamming the brakes. Cars that come with an automatic brake system have various types of sensors such as cameras, radar, infrared, etc. The best way to explain it without getting a cruise control migraine would be to use Chrysler’s “Forward Collision Warning” system as an example. The Forward Collision Warning system (with crash mitigation) uses forward-facing radar sensors and a camera to detect whether the vehicle it’s installed in (prime) could be heading into a potential hazardous situation, such as a stopped vehicle. If this is the case, it alerts the driver with a loud chime and displays a visual message (such as “Brake!”) on the dashboard and engages the brakes. If during this time the driver does not react, more power is applied to the brakes to give the driver more time to react. If the driver at any time does take control, the system will instead supplement the car with braking to aid the driver in avoiding a collision. The point of automatic braking systems isn’t to replace the responsibility of the driver however. At a speed of 20 mph or less, most automatic braking systems have a high chance of stopping the car before collision. Faster than that, and it doesn’t matter how sophisticated the system is, that crash is going to happen. Systems like Chrysler’s Forward Collision Warning are simply in place to take control of the car if the driver were to panic and not react appropriately, and if anything, minimize impact, damage, and injury. What is a blind spot? It’s the space around a car or truck that is outside the driver’s immediate field of vision, be it peripheral vision or the space captured by the rear and side mirrors. Blind spot monitors are pieces of technology that can detect if a car or other obstacle is in a vehicle’s blind spot. These systems also make use of radar or sonar to detect objects or persons in the blind spot, and then transmit a warning to the driver to avoid a possible collision. These warnings come in the form of audible alarms, flashing lights, and in more advanced systems, the system will take control of the car and steer it away, much like how automatic braking systems will take control if necessary. Phew, it’s a good thing technology has advanced thus far. Systems such as blind spot detection and automatic braking have already saved a lot of lives. Of course, one of the greatest pieces of technology integrated into cars is probably the seat/safety belt. But, that’s a story all on it’s own. Is there technology in cars that you’re thankful for? Let us know in the comments below.